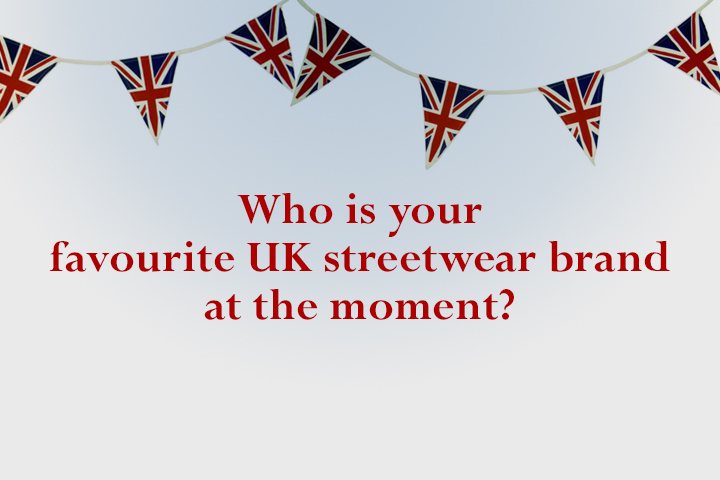 Poll Results: Who is your favourite UK streetwear brand at the moment? These polls, especially when discussing UK streetwear can be prone to turning into a digital popularity contest. That’s not to discredit any of the results and it doesn’t reduce how interesting the results are, but it’s worth bearing in mind that it is a factor of the results and in turn, by knowing this is the case with Facebook polls, a factor of our question in a way. We wanted to find out which UK streetwear brands were hot at the moment. That can be measured by popularity, social media clout, designs, sales, exposure, product placement, whatever you like, it all has an effect and it all seeps into the results in different ways to express that a brand is active. It’s interesting to see some brands on this list and not others, and I like the fact that the top 10 doesn’t reflect most people’s preconceptions of what the list would have been. Whether you agree with the list or not is up to you, and we’ll let you express that in the comments section below. We (The Daily Street) aren’t here to pass comment or judgement on who came where in the list, that’s not the point of our Have Your Say feature, but merely to facilitate a platform for the list to happen. If you didn’t manage to get your vote in and have your say, you still can here, but these are the official results below. Poll Results: Who makes your favourite denim?